Search this extensive online directory of So. Maryland farms and ag-related businesses and services to find the farms that fit your needs. THE SEARCHABLE DIRECTORY IS TEMPORARILY OFF-LINE. PLEASE CHECK BACK. In the meantime, you can download a pdf file of the latest So. 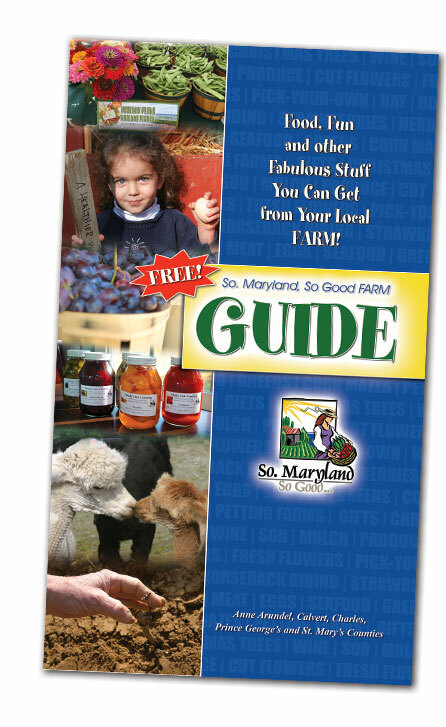 Maryland, So Good Farm Guide or one of the specialized mini-directories from the Get the Guides! page. Or check out the Farm to Table Listing of businesses serving/selling local farm food!